Inspired by Curtis’ guest appearance on The SSR Podcast, we’re returning to our favorite childhood reads to figure out how they have shaped us as readers. We compare what we read then to what we read now, share some nerdy anecdotes, and reflect on how beloved characters have influenced our personalities. We encourage you to reflect on your own reading journey and let us know what you discover. 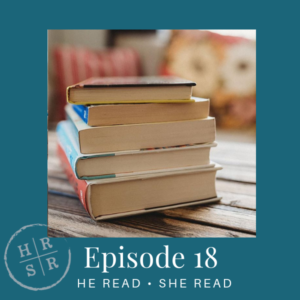 Find us on Instagram @hereadsheread or email us: hereadshereadpodcast@gmail.com.